Film showing New Zealand troops in Belgium in 1917. (It was) still very cold and wet and muddy....And you could only go down on duckboards, and if you went off the duckboard you just went into a sea of mud. 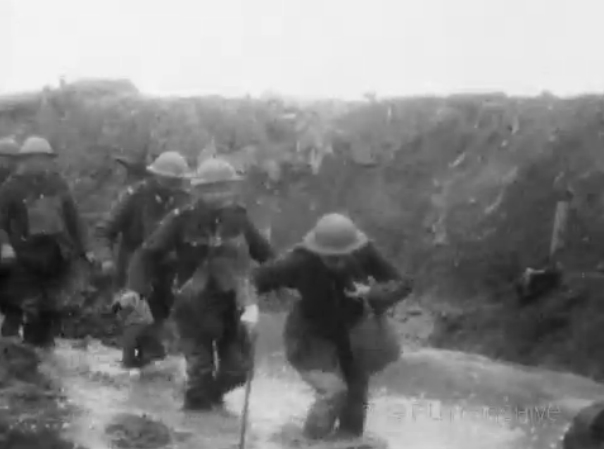 In fact, a lot of our men were more or less drowned in the mud at Passchendaele. From interview with Bert Stokes - read and hear more. Reference F4330. Video extract from Review of New Zealand Troops by Hon Walter Long, NZ Government / Pathé Frères, France, 1917.